On this episode, we’re taking a look at the culture of your fire department. We’ve been talking over the past few weeks on this show about whether firefighters have become too risk-averse. But there are also some department cultures that condone overly risky behavior. It’s not in the SOPs or SOGs – culture is an unwritten feeling or understanding of what firefighters expect to do. Here’s an example: Remember when Captain Pete Dern of the Fresno Fire Department fell through that roof? He was critically injured. The report on the incident laid partial blame on the culture of the department. There have been several line-of-duty-deaths determined to have resulted from this kind of attitude. How do we balance safety with being aggressive firefighters? My guest to discuss this is J. Travis Carricato. Travis has been in the fire service for over 25 years. 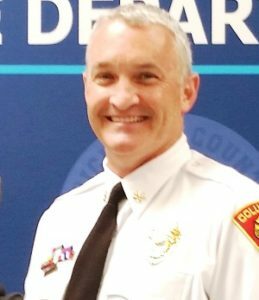 He’s currently an Operations Division Chief with the Columbia, South Carolina Fire Department. He served as a member of South Carolina –Task Force 1 for over nine years, promoting to Task Force Leader. Travis is also the founding owner of E-Med Training Services, LLC, which specializes in Emergency Response training for the industrial sector. Article: Does the Fire Service Have a Culture Problem? What pressure increase can be expected in a hose line from a water hammer? A water hammer can increase pressure in a line six times.